What a great way to show your support for the Man In Black himself! 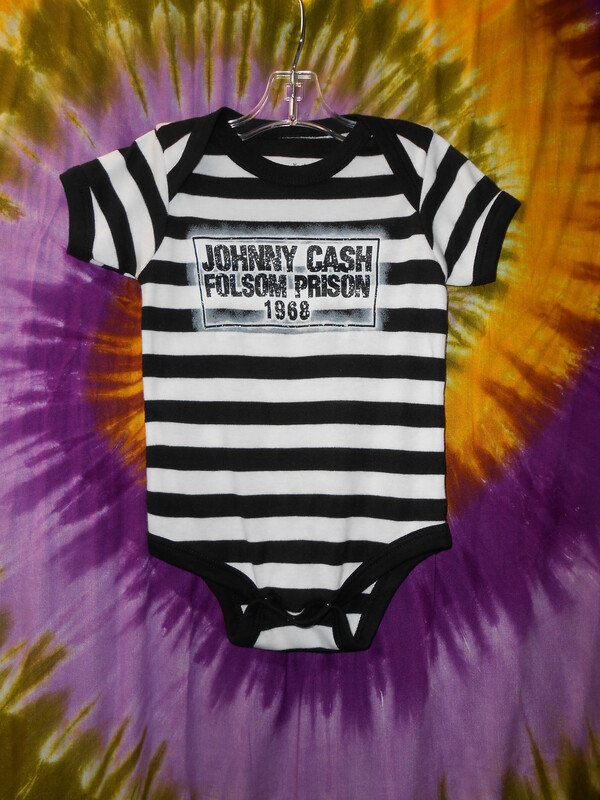 These adorable onesies come with their own black and white prison stripes and inmate number (1968 - what a great year!) They make great baby shower gifts. They are a super soft cotton/polyester blend with snaps. They come in Medium (12 months), and Large (18 months).